Zachary Al-Radiedeh is an avid performer and teacher residing in the Baltimore area. His eclectic career in music began when he chose the euphonium in fifth grade, mistakenly thinking it was a French horn. Since then, Zachary has become an active performer on many other instruments, including trombone, tuba, voice, and bass, and his performance idioms have ranged from classical to punk to folk fusion. 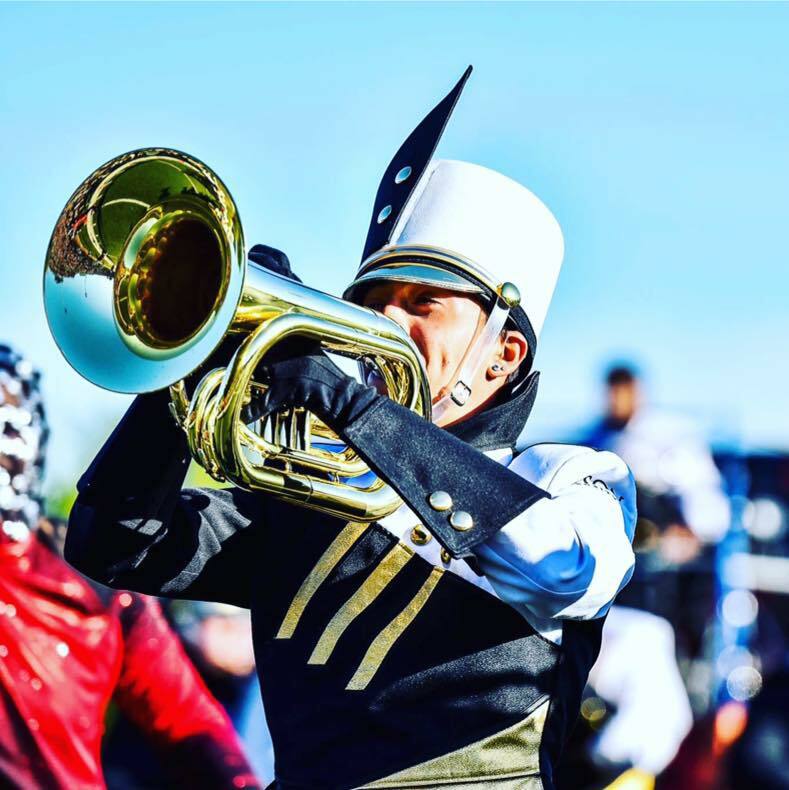 Zachary is currently studying music education at Towson University, where he studies euphonium under the tutelage of U.S. Navy musician David Perkel. In addition to Dr. Perkel, Zachary has studied euphonium with Matthew Shipes, Seth Horner, and James Hicks; trombone with Natalie Mannix; and conducting with Christopher Cicconi. Zachary is the former bassist of a successful Baltimore area pop-punk band, Somewhat Superhero, and currently lends his voice and trombone proficiency to a new folk rock project. Outside of concert-style playing, Zachary has built a reputation as a performer and sought-after teacher in the world of marching music. As a marching member himself, he joined the Troopers Drum & Bugle Corps for two national tours in 2015 and 2016, was a member of the Cadets2 Drum & Bugle Corps in 2014, and was a featured soloist with the Towson University Marching Band in 2015. Zachary has taken these experiences in top level ensembles and applied them as an active instructor and consultant for marching ensembles in the Baltimore area and beyond: he has served on the instructional staffs of the Towson University Marching Band, the Urbana High School Marching Band, and Pioneer Drum & Bugle Corps. Currently, Zac serves as the visual coordinator for the Perry Hall High School Marching Band. Zachary’s professional associations include membership within Phi Mu Alpha Sinfonia, Tau Beta Sigma, and the National Association for Music Education. In 2013, Zachary was a recipient of the prestigious Semper Fidelis Award for Musical Excellence, an award presented to a select group of outgoing high school seniors presented by the United States Marine Corps. Additionally, Zachary was named a winner of the 2018 Towson University Concerto Competition and second prize in the 2018 Peggy Friedmann Gordon Music Competition. More than anything, Zachary wants his students to have an enjoyable experience while reaching realistic, achievable goals. His students will work out of some of the most trusted literature in the method book, solo repertoire, and etude worlds, and Zachary hopes they will have a great time while doing it.